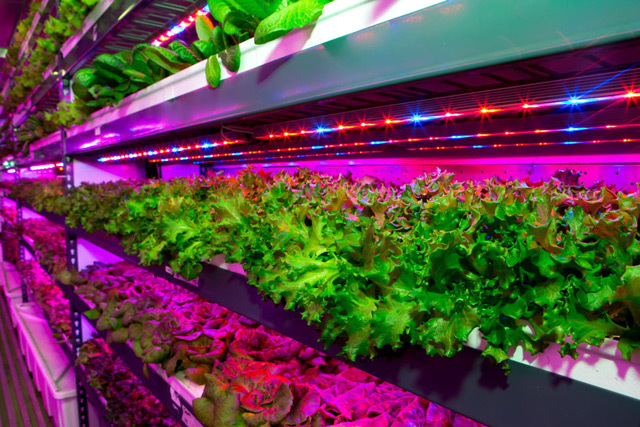 Emirates Flight Catering, EKFC, and Crop One will co-invest US$40 million to build the world’s largest vertical farming facility near Al Maktoum International Airport at Dubai World Central. The project is a joint venture with US-based Crop One Holdings, the world’s leading vertical farm operator. H.H. Sheikh Ahmed bin Saeed Al Maktoum, Chairman of Dubai Civil Aviation Authority and Chief Executive of Emirates Group, said, "Today’s announcement is an important milestone for the Emirates Group, for Dubai, and for the UAE. This investment to build and operate the world’s largest vertical farming facility aligns with the UAE’s drive for more agricultural self-sufficiency, a vision which began with the Founding Father, the late Sheikh Zayed bin Sultan Al Nahyan. The introduction of ground-breaking technology at the facility also enhances Dubai’s position as a global innovation hub." "As one of the world’s largest airline catering operations, Emirates Flight Catering constantly looks at innovation, and ways to improve our productivity, product and service quality. Introducing the latest technology to our operations, we secure our own supply chain of high quality and locally-sourced fresh vegetables, while significantly reducing our environmental footprint. We are pleased to partner with Crop One, the industry’s leading grower, packer and distributor, and a successful company that shares our corporate values. Together we look forward to delivering a best-in-class product and excellent value to our customers and stakeholders," said Saeed Mohammed, CEO of Emirates Flight Catering. In turn, Sonia Lo, Chief Executive Officer of Crop One Holdings, said, "Our proven business model has demonstrated profitable commercial production longer than any other major vertical farmer." "We are farmers using the most sophisticated plant science and proven business efficiencies to provide market leading consumer products every day. Our selection after a 10-month search by EKFC is a validation of our successful business model that uses patented technology and processes to optimize crop yields and facilitate hyper-growth." When complete, the vertical farm facility will cover 130,000 square feet, but have a production output equivalent to 900 acres of farmland. 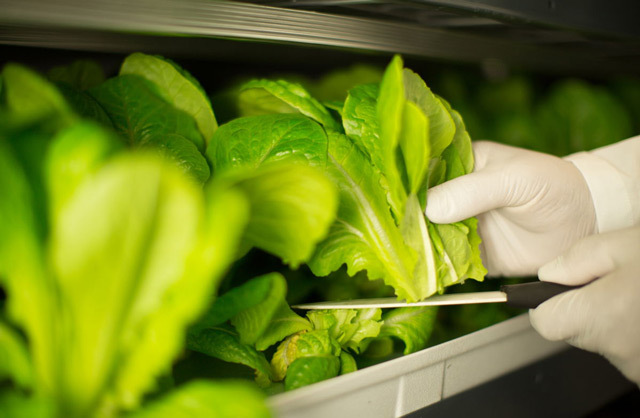 At full production, the facility will harvest three US tons (2,700 kg) of high-quality, herbicide-free and pesticide-free leafy greens daily, using 99 percent less water than outdoor fields. The proximity of the farm to the point of consumption also substantially reduces carbon emissions associated with transportation. It will also ensure the quick delivery of the fresh products, reaching customers within hours of harvest, maintaining high nutritional value.